It's completely understandable why you might overlook the news that the Federal Communications Commission will conduct a pair of high-band frequency spectrum auctions later this year. 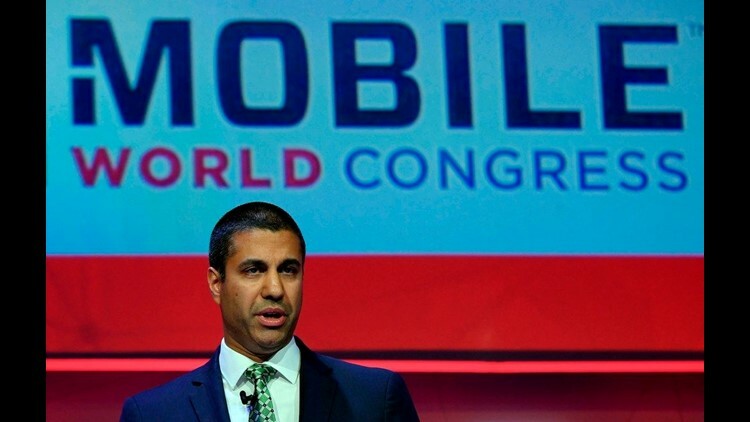 Chairman of the USA Federal Communications Commission, US telecommunications director Ajit Pai, gives a press conference on the first day of the Mobile World Congress (MWC) on February 26, 2018 in Barcelona. These so-called high-band spectrum swaths are necessary for wireless providers and other tech players because, even though they travel shorter distances than other spectrums, they can deliver more data and traffic more quickly. 5G networks will be created using a combination of high-band spectrum, along with low-band and mid-band, which can travel farther but handle less data at slower speeds. The wireless and tech industries have called for the FCC to make high-band spectrum available to spur research and development – and prevent the U.S. from falling behind other countries such as China in the race for 5G. The U.S. global lead in 4G deployment spurred innovation and development and boosted GDP, says telecom industry analyst Roger Entner, founder of Recon Analytics. Should the U.S. not maintain global leadership for 5G, "a lot of the innovation, a lot of the development and cutting-edge stuff that was all developed here like Facebook and Google, all these things will happen in China and Japan," he said. At its regular monthly meeting Thursday, the FCC will also vote on a proposal to allow 5G use for mid-band spectrum.